I would like to address the importance of the proposed legislation that would prohibit the denial of the Srebrenica genocide in Canada. Canada has passed laws against promoting or inciting hatred, as well as against advocating genocide. I think these laws provide an important context for the consideration of legislation prohibiting denial of the Srebrenica genocide in Canada. Further, I would like to point out that the Supreme Court of Canada approved the deportation of Mr. Léon Mugesera in 2005. Mr. Mugesera was, formerly, a senior official of the National Republican Movement for Development and Democracy and a leading representative of the extremist “Hutu Power” group in Rwanda. The Supreme Court assessed in 2005 that Mr. Mugesera had engaged in hate speech and the incitement of genocide against the Tutsi in Rwanda as a crime against humanity, and thus, that he was thus not eligible for residence in Canada. Mr. Mugesera was eventually deported to Rwanda in 2012, and was subsequently convicted in 2016 of “public incitement to commit genocide, persecution as crime against humanity, and inciting ethnic-affiliated hatred.” He was sentenced to life in prison in 2016. Our urgent petition to ban the denial of the Srebrenica genocide is presented in the context of the denial of the Srebrenica genocide and the resurgence of hate speech and ultra-nationalism in the Balkans. It is important to note that the political leadership of Republika Srpska (the Serb-dominated entity within Bosnia and Herzegovina that was recognized by the Dayton Peace Accords), and of Serbia, both deny the Srebrenica genocide. Milorad Dodik, the Bosnian-Serb member of the Presidency of Bosnia has asserted that that the genocide at Srebrenica was the “biggest sham of the 20th century,” and that he will not allow it to be taught in the schools of Republika Srpska. In a recent Deutsche Welle television interview, the Prime Minister of Serbia, Ana Brnabić, refused to acknowledge the Srebrenica genocide. The perpetrators who have been convicted of the Srebrenica genocide are glorified in Republika Srpska. In July 2018, a political functionary in Republika Srpska actually threatened that there would be another genocide. Genocide denial and glorification of the perpetrators are used as hate speech as part of an orchestrated effort in Republika Srpska to prevent Bosniak (Bosnian Muslim) and other non-Serb refugees from returning to the homes from which they were forcibly expelled during the genocide. In this context, I would respectfully suggest that the denial of the Srebrenica genocide constitutes hate speech, and, moreover, that it legitimizes the crimes that were committed, thereby authorizing the commission of a subsequent genocide. The normalization of the denial of the Srebrenica genocide today is reminiscent of the tendency of diplomats, journalists, and even the United Nations, for example, to refer to the international aggression and genocide that was in progress in Bosnia and Herzegovina as “ethnic cleansing”. A number of scholars, including Edina Bećirević, have stated that, with the phrase “ethnic cleansing,” the international community had already denied the genocide from the beginning in 1992. It was a terminological choice that negatively affected international efforts to bring the aggression against Bosniak civilians to an end, and that has negatively affected efforts to build the peace in Bosnia in the past twenty-four years. As part of these considerations, it is important to recognize that Motion M-416 passed in the House of Commons on October 19, 2010, recognizing July 11 as Srebrenica Remembrance Day in Canada. Further, Motion M-587 passed in the House of Commons on April 24, 2015, including the Srebrenica genocide, and Srebrenica Remembrance Day as part of “Genocide Remembrance, Condemnation and Awareness Month” every April in Canada. Finally, in conclusion, it is crucial to reflect on the extent to which a law against the denial of the Srebrenica genocide would not be a denial of “free speech”. There is no absolute right to free speech in the sense that societies circumscribe specific limitations on speech and expression in the interest of the protection of groups and individuals who have been or may be targeted for discrimination, oppression and elimination. For example, Canada has passed laws against hate speech. One could say that “even in the United States” there are legal limitations on speech and expression in the context of “hate crimes”. In a number of European countries, it is a crime to deny the Holocaust. 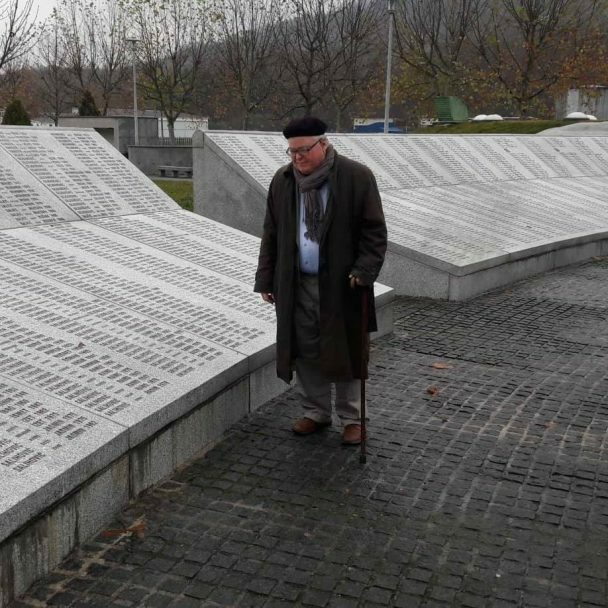 One wonders if, given the importance of remembering the Holocaust for the sake of the victims and for the sake of prevention, why it would not be similarly imperative to prohibit the denial of the Srebrenica genocide.